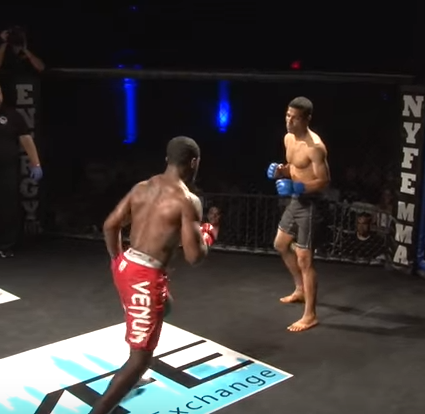 New York Fight Exchange 8, which took place on September 8 in Queens, saw a ton of fights go down, but one of the most notable of the bunch was the scrap between Jerome Mickle and Jonathan Velez. Mickle and Velez aren't just a pair of UCL vets, they were champions in the organization, so this one was compelling for that reason alone. But since graduating to the NYFE, Mickle has carved out a heck of a reputation as a slugger and a career trajectory that seems destined for bigger things. Velez, meanwhile, just likes to fight.